For readers aged 7 upwards, the third title in the Battle Champions series is published in the UK this week by Simon & Schuster. Penned by Jack Carson (a writing partnership between Michelle Misra and me) and illustrated throughout by Damian Jones, the series will appeal to post Beast Quest readers into massive mechs duking it out in competition across a wild west landscape. 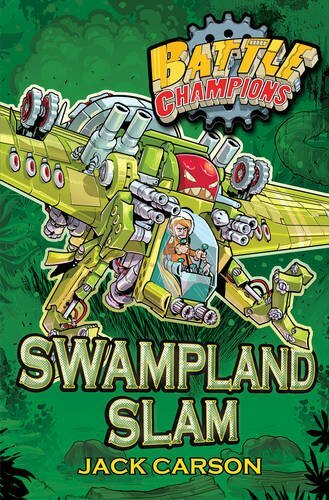 In Swampland Slam, Titch Darwin and the team must work together to fight some of their fiercest opponents yet. Once again, Titch's trusty mech - LoneStar - must compete in the ultimate test of man and machine.